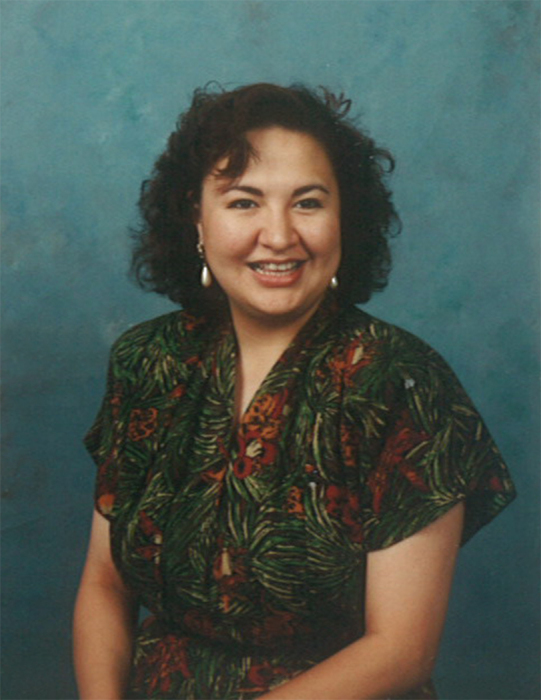 Gloria Karen Eagle Bear, the only daughter of Hazel Eagle Bear and the late Eddie Brent Eagle Bear, was born on August 18, 1965 in Fort Macleod, Alberta. She passed away on Sunday, March 10, 2019 in Lethbridge, Alberta. She was a mother, grandmother, wife, daughter, and sister. She is survived by husband Jimmy Healy, children Kimberley Eagle Bear, Michael Brent Eagle Bear, Lucy Eagle Bear, grandchildren Kylie Eagle Bear, Kyle Eagle Bear, Caleb Eagle Bear, Miley Eagle Bear, mother Hazel Eagle Bear, brothers Dexter Eagle Bear, Wesley Eagle Bear, Philbert Eagle Bear (Ish), adopted brother Thomas Knife Eagle Bear, nieces Raelee Eagle Bear, Kaneisha Eagle Bear, aunties Margaret (Andrew) Weasel Fat, Elizabeth Red Crow, Magdaline Cress, Angeline Webster, Alva Eli, Melva (Sydney) Black, mother-in-law Isabel Healy Fox, sister-in-law Mary (Gordon) Fox, Marlene (Lorne) Heavy Runner, Debra Healy, brothers-in-law Aldwin Healy, Casey (Charlotte) Healy, Mark (Iris) Healy and numerous cousins. Karen was predeceased by her father Eddie Brent Eagle Bear, grandparents Jack and Agnes Eagle Bear, Frank and Lucy Eli, aunties Louise (Herbert) Bull Shields, Eva (Alfred) Sweet Grass, Viola Eli, uncles Mike (Angeline) Eagle Bear, Stanley (Madeline) Eagle Bear, Billy (Margaret) Eagle Bear, Louis (Louise) Knife, Lawrence (Alberta) Eli, Floyd (Maryanne) Eli, and father-in-law John Healy. She grew up in Fort Macleod and the Blood Reserve and went to school in Fort Macleod. She graduated with a business administration diploma from Lethbridge College. She worked at the Royal Bank and McCain's. Karen liked to draw and paint and loved to watch The Young and The Restless. A wake service was held at Old Agency Hall on Sunday, March 17th from 7:00 pm to 11:00 pm. The funeral mass is being held at St Mary's Church at 11:00 am, Monday, March 18th, 2019.